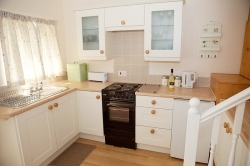 Out & About - Pink Heather Holiday Cottages - Holiday Cottages in North Devon. 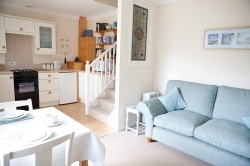 The picturesque village of Berrynarbor is an ideal centre for exploring North Devon. 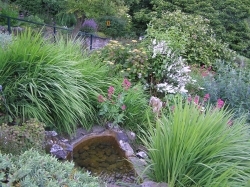 It has won many awards in both the "Britain in Bloom" and "Best Kept Village in Devon" competitions. The attractive well kept gardens and floral displays are outstanding and led to us being in the finals of the Royal Horticultural Society national awards. 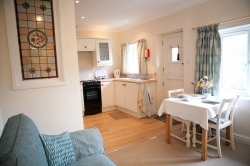 Quaint cottages and narrow streets, together with the 15th Century Manor Hall, and 12th Century Church, add to the rural charm of the village and the traditional pub is a popular place for eating out. 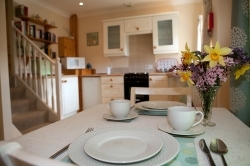 There is ample free car parking and easy access from the A399. On the coast at Berrynarbor lies the pretty cove of Watermouth, with its gently shelving shoreline and many rock pools. This naturally sheltered harbour provides moorings for pleasure craft and forms part of the Voluntary Marine Nature Reserve, which runs along the length of coastline from Ilfracombe to Combe Martin. Watermouth's other main attraction is Watermouth Castle, one of the largest family tourist attractions in North Devon. Based in and around a castle, there are displays, exhibits and attractions for all age ranges. Broadsands Beach and cove 1.5 miles away is a beautiful sandy cove surrounded by high cliffs. Many steep steps lead down to the sheltered beach but it is well worth the effort. A good spot for sea fishing, rock pooling or swimming. Each Spring Bank Holiday the village of Combe Martin holds the " Hunting of the Earl of Rone Festival", a re-enactment of an ancient legend. Today locals dressed as grenadiers, drummers and musicians form a parade led by a Hobby Horse to hunt out the Earl, who rides backwards on a donkey. The Earl is shot by the grenadiers, revived by the Hobby Horse, remounted on his donkey, before being eventually thrown into the sea. Another annual event is the "Strawberry Fair", held at the end of June, to celebrate the strawberry season. Strawberries have been grown in the region for centuries and today there are a number of "pick your own" farms which allow visitors to gather their own fruit. Cinema, theatre and indoor swimming pool at Ilfracombe. Coarse fishing and sea fishing around the coast. 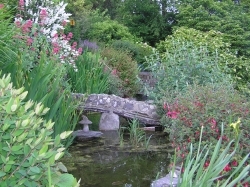 Gardens open to the public include: Rosemoor, Marwood Gardens, Arlington Court and Broomhill sculpture gardens. A wonderful variety of bird life and wildlife is to be found in the area - especially in our valley.